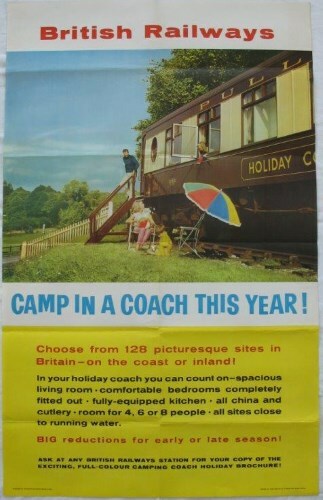 Lot 86 D/R Poster 1960 BR "Camp In A Coach This Year". A photographic image of a family enjoying their stay in a Camping Coach. Excellent folded condition.